Today's moss is clearly the footnote to a much more spectacular image. 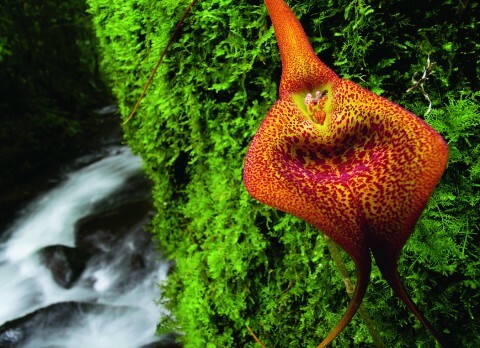 Found at NatGeo News Watch article "Deceptive Beauties-The World of Wild Orchids" by the International League of Conservation Photographers. The mission of the International League of Conservation Photographers (iLCP) is to use ethical photography to create conservation gains. Founded by Cristina Goettsch Mittermeier in 2005, iLCP is a fellowship of over 100 photographers from over 20 countries. Members include National Geographic photographers including David Doubilet, Frans Lanting, Michael (Nick) Nichols, Joel Sartore, George Steinmetz, and Steve Winter.